You may have dreamed about it for years, and now it is finally happening–you are going on the beach vacation of your dreams. Now all you have to do is pack. What should you bring with you to the beach? Even though you may be spending your days in the sun and sand, you will still have to have plenty of different clothing options. Here are some of the most common items to bring with you on your beach vacation. One of the must-have items for a beach vacation is a swimsuit. Depending on the length of your beach vacation, you may want to bring more than one option. Some people prefer the string bikini to minimize tan lines, while other look for a sportier two-piece option so that they can do a variety of water activities such as snorkeling, swimming and boating. If you are interested in any expert level water activities, you may also consider bringing a one-piece option so that you can get the coverage you need for any situation you may encounter. Another essential is the coverup for the beach. This is a versatile clothing piece that can be used in a variety of ways. This can be used to cover yourself and provide protection from the afternoon sun. You can find a coverup such as a sarong can be used either to wear as a skirt or as an entire dress. If you plan to go straight from the water to a restaurant or local attraction, these can help you quickly have the coverage you need to meet any dress code. Along with your beach coverup, you should also bring shorts and tank tops. These essentials will allow you to take some time away from the beach, explore the local area and not have to worry about meeting dress codes in specific establishments. These pieces are very easy to mix and match, so you can bring at least one option for each for every two days of vacation you are taking. While you may not consider a beach vacation a place where you will have to layer up, there are many places around the globe where beaches can be colder than expected. For this occasion, you can simply pack a long sleeve shirt or light jacket. This will provide the extra layer needed for a chilly wind or rainy weather. If you are looking to explore natural areas away from the beach, this can also be a great piece to have to prevent bug bites or allergic reactions from plants you may encounter. For most vacationers there will be a point in your trip where you will want to dress up a little bit and head over to a fancy restaurant for lunch. In this instance, you can choose a dress. 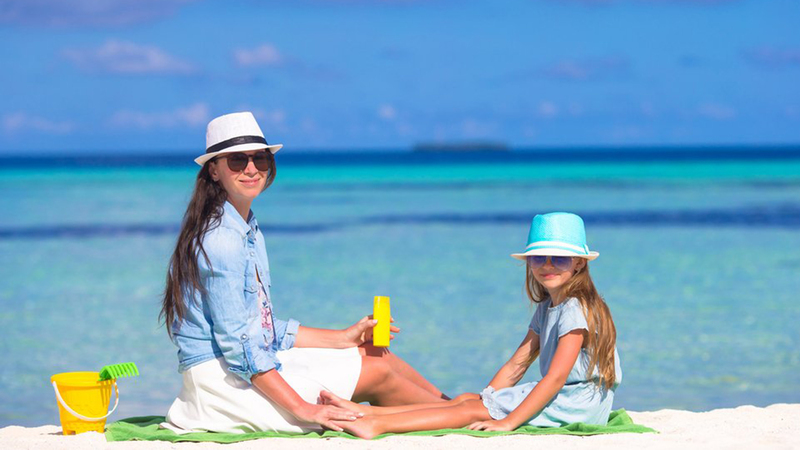 Dresses for beach vacations are typically made of lighter materials and have colors and patterns that will keep you cool, even in the hot afternoon sun. You can shop beach dresses online to see which options will work best for you. You may want to have a lot of options when it comes to shoes for your vacation, but packing light is often the perk of going to a beach rather than a mountain or colder climate area. Most travelers will only need three options: a pair of sandals for the beach, a pair of sandals for nicer occasions and a comfortable pair of sneakers if you plan on exploring the areas outside of the beach or going into museums for the afternoon. Even with three options, you may be able to fit everything efficiently in one bag so you can concentrate on how much fun you will have once you arrive.